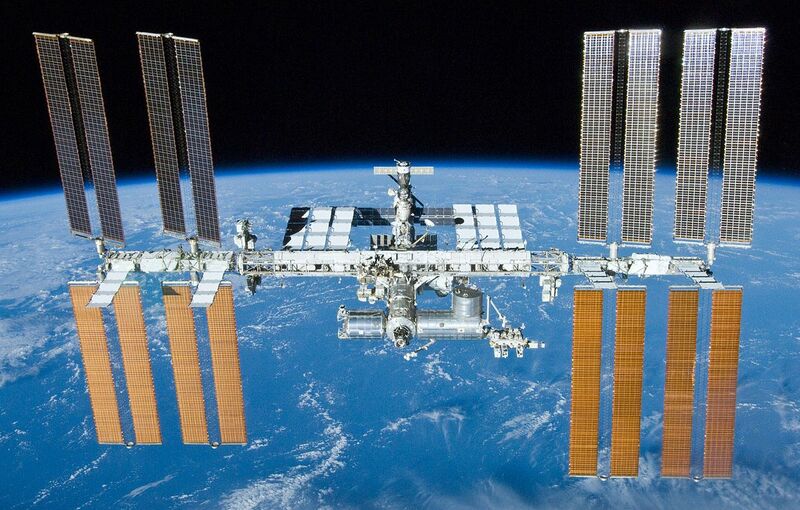 The International Space Station (ISS) orbits Earth about 15 times a day. As the largest human-built structure in orbit, it is visible to the naked eye when it passes over, only 330-430 kilometres overhead. The ISS serves an important purpose as a microgravity and space environment research laboratory in which crew members conduct experiments in biology, physics, astronomy, meteorology and other scientific fields. It also is crucial in exploring the technologies needed to take humans back to the moon, to Mars and, eventually, the stars. The ISS was built from a number of parts carried into orbit on different space missions, including a number of components carried on US Space Shuttles while they were in operation. When the Space Shuttle was being constructed a number of its parts were contracted out to various companies across the US and other nations. In particular the large booster rockets, which carry the shuttle to orbit and fall away for reuse, were contracted to a company in Utah, which built them onsite and transported them by rail to the launch site. The engineers that built these boosters wanted to ensure they were as large and powerful as possible, but had to keep in mind that they had to be transported through a train tunnel, which was built to US rail specifications. The US rail gauge is 4 foot 8.5 inches and was defined by the manufacturers of steam trains, who reused the standard they'd used in their previous work developing horse-drawn trams in the 19th century. The standard used for these trams was, in turn, based on the standard for building horse-drawn wagons, which was the former occupation of tram-makers. The width of wagon wheelbases was, in turn, based on US road widths, which had been imported to the New World by the English, drawing from UK road standards. The reason it was important for wagons to have standard width wheelbases in the UK was because of the ruts cut into the roads by hundreds of years of use. Make a wheelbase too wide or narrow and wheels would break more easily and often. This was because the UK road standard had originally been defined by the Roman Empire, which built the first continent-spanning road network in Europe. The Romans built these roads both for trade and for easier passage by their armies, which included war-chariots drawn by two horses. 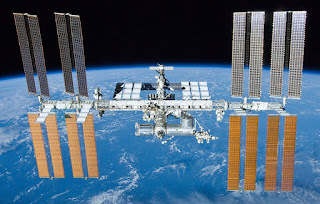 As a result, the gateway to humans exploring the solar system, the International Space Station, was designed on a thousand-year old standard from the Roman Empire, the width of two horses' arses. Now what does this have to do with innovation? Clearly there's been a long process to get from two-horses arses to the International Space Station, but at every stage many of the core technologies have been designed iteratively on those that came before them. All the innovations that have occurred in that process occurred within a set framework, which both enabled and limited progress. When thinking about innovation it is important to be conscious of the frameworks we operate within, personally and institutionally. Our capacity to innovate is often shaped by our education, experience and environment. Often what we may call innovation is actually iteration - taking an existing model and improving it in some way. Innovation in the purest sense occurs when there's a break from a past framework. These breaks are often highly disruptive as they force people to rethink all their assumptions and reframe their experiences in light of new ways of seeing the world, or a given problem or situation. Some of these major innovative breaks include such things as the Theory of Evolution, the Industrial Revolution, the invention of the printing press (with movable type) and the creation of the Internet. It's true that each was built on knowledge that came before it. Dinosaur skeletons were discovered long before Darwin and his peers conceived of evolution and books existed for thousands of years before movable type. However in each of these, and similar, innovations, the way people saw the world shifted. Industries rose and fell, as did nations and societies. These new ideas and inventions weren't simple iterations on previously accepted wisdom that saw society make minor adjustments but continue on its existing course. Often when organisations seek to be 'innovative' they are actually focused on being iterative, to improve what they do in order to maximise their success within the current social and economic environment. There's nothing wrong with this but it doesn't necessarily require the same approach as actual innovation. Actual innovation is about overturning what is considered normal, breaking from current practice and finding new approaches which redefine how we see and behave in society and our economic, political and social environments. This type of innovation is hard. It involves lifting people out of their unconscious patterns and creating lasting change, often overcoming fears of the unknown and the well understood and comfortable lives people and organisations have created for themselves. In fact humans are biologically wired against too much, or too fast, change. Scientific research has established that our brains reside in a lower energy state when supporting or defending the status quo than when we try to actually change our thinking. While we can, and do, change, it's far easier to consider innovative change when we're fresh, fit and fed rather than when we're stressed, tired and hungry. So it's important when seeking to create or support innovation to create the right environment to foster innovative thinking, picking or designing appropriate locations and times for change to occur. It's also important to use the appropriate systems and tools to support innovation. These need to help people step out of their comfort zones as comfortably as possible, to give people a change to play with ideas and approaches in non-threatening ways. When people feel comfortable and safe they're far more capable and open to new concepts and approaches and able to consider the flaws in current situations in a far more objective way. While I didn't realise it when I invented Social Media Planner, my card-based game-like system for helping people to design effective social media strategies around a table, over years of testing I've found that it fosters this innovative thinking. By taking people from a digitally-focused space to a collaborative tabletop environment they are better positioned to objectively play with different and innovative approaches and concepts. When I observe or work with individuals and groups using Social Media Planner, they rapidly shift into an innovative state of mind, considering new options, devising new ideas and working together to develop and assess them to design new approaches to their social media engagement. This is of course one small corner of innovation, but it has shown me the power in giving people a familiar and flexible tool, the physical playing cards used in Social Media Planner. Through fostering an interactive physical activity in a low distraction environment with game-like goals and limits, individuals and group find they have the space to experiment, brainstorm and reflect. The approach also addresses the 'blank page' issue, where people struggle to find a place to start on solving a problem or finding a solution. The scenarios included in every Social Media Planner pack allow people to safely learn the system without feeling foolish or lost. The card-based approach also addresses the challenge of holding complex models in one's head. Most people typically can retain 5-9 items in their short-term memory at a time, however with the Social Media Planner tools cards laid out on a table it's easy for individuals to access 40 different concepts without relying on their short-term memory and interfering with creative thought. If your organisation is seeking to innovate - or even to iterate - it's worth investing in the systems and tools which will help your teams do so in the fastest and most successful ways. I've used Social Media Planner as an example of these types of tools because I designed it, tested it and have seen how effective it can be for organisations planning their social and digital media engagement. There's many other tools useful when innovating that are worth considering, as well as organisations experienced at fostering the spaces and mindsets that foster effective innovation and change. So if your organisation needs or wants to change, to improve how it operates, to become more effective at serving its customers, clients, citizens or stakeholders, invest in tools that will help your people to innovate, accessing the creative potential every human possesses. Don't simply put in place frameworks and processes to refine and proceduralise innovation and change, also invest in the environments and tools that foster innovation. You'll get better outcomes, faster and more cost-effectively. And your people will be happier and more productive by being part of the journey.